Roads and expressways in Chicago summarizes the main thoroughfares and the numbering system used in Chicago and its surrounding suburbs. Chicago's streets were laid out in a grid that grew from the city's original townsite plan. Streets following the Public Land Survey System section lines later became arterial streets in outlying sections. As new additions to the city were platted, city ordinance required them to be laid out with eight streets to the mile in one direction and 16 in the other direction. A scattering of diagonal streets, many of them originally Indian trails, also cross the city. Many additional diagonal streets were recommended in the Plan of Chicago, but only the extension of Ogden Avenue was ever constructed. In the 1950s and 1960s, a network of superhighways was built radiating from the city center. As the city grew and annexed adjacent towns, problems arose with duplicate street names and a confusing numbering system based on the Chicago River. On June 22, 1908, the city council adopted a system proposed by Edward P. Brennan; amended June 21, 1909. The changes were effective September 1, 1909 for most of the city. Addresses in Chicago and some suburbs are numbered outward from baselines at State Street, which runs north and south, and Madison Street, which runs east and west. The division of Chicago's directional address system is at State Street - separating East (E) from West (W), and Madison Street - North (N) from South (S) . The new house numbering plan passed by the City Council June 22, 1908, to be in force and effect September 1, 1909, makes Madison Street from Lake Michigan to the city limits on the west the base line for numbering all north and south streets and streets running in northerly or southerly direction. For east and west streets and streets running in a generally east and west direction the base line is State Street from the southern city boundary line to North Avenue, thence extended by an imaginary line through Lincoln Park and Lake Michigan." The downtown area did not conform to this system until April 1, 1911, per an amendment to the law on June 20, 1910. Downtown was defined as Lake Michigan on the east, Roosevelt Road (Twelfth Street) on the south, and the Chicago River on the north and west. The addition to cover downtown was published, and is also on line as a pdf indexed by downtown street name. "The 1909 address change did not affect downtown Chicago, between the river and Roosevelt Road, the river and Lake Michigan. The ordinance was amended June 20, 1910 to include the downtown area. The new addresses for the “loop” went into use on April 1, 1911." Chicago house numbers are generally assigned at the rate of 800 to a mile. The only exceptions are from Madison to 31st Street, just south of downtown. Roosevelt Road (previously Twelfth St) is one mile south of Madison with 1200 addresses to the mile, Cermak Road (previously 22nd Street) is two miles south of Madison with 1000 addresses to the mile, and 31st Street (3100 S) is three miles south of Madison with 900 addresses to the mile. South of 31st Street, the pattern of 800 to the mile resumes, with 39th Street the next major street, 47th after that, and so on. Individual house numbers are normally assigned at the rate of one per 20 feet of frontage. Thus the last two digits of house numbers generally go only as high as 67 before the next block number is reached. Higher house numbers are found on diagonal streets and have sometimes been assigned by request. The blocks are normally counted out by "hundreds," so that Chicagoans routinely give directions by saying things such as "about twelve hundred north on Western" or "around twenty-four hundred west on Division" (which both describe the intersection of Western Avenue (2400 W) and Division Street (1200 N)). South of Madison Street most of the east-west streets are simply numbered. The street numbering is aligned with the house numbering, so that 95th Street is exactly 9500 South. "Half-block" east-west thoroughfares in this area are numbered and called places; 95th Place would lie just south of and parallel to 95th Street, and just north of 96th Street. Every four blocks (half-mile) is a major secondary street. For example, Division Street (1200 N) is less important than either Chicago Avenue (800 N) or North Avenue (1600 N), but is still a major thoroughfare. However, this is not always the case; for example, on the city's Far North Side, Peterson Avenue (6000 N) is a more heavily trafficked street than Bryn Mawr Avenue (5600 N), which sits exactly at the 7-mile marker. U.S. Route 14 is routed along Peterson between Clark Street at 1600 W and Cicero Avenue at 4800 W, whereas Bryn Mawr is discontinuous, split into two segments in this part of the city by Rosehill Cemetery between Damen and Western Avenues. Even-numbered addresses are found on the north and west sides of a street, and odd numbers are found on the south and east sides, irrespective of the streets' position relative to the corner of State and Madison. Diagonals, even if they were to run exactly 45 degrees off of the cardinal directions, are numbered as if they were north-south or east-west streets. Examples are North Lincoln Avenue and Ogden Avenue, which bends at Madison and changes from North Ogden to West Ogden. The northernmost street in Chicago is Juneway Terrace (7800 N), just north of Howard Street. The southern boundary is 138th Street. 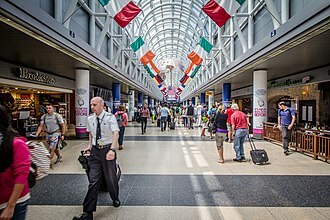 The eastern boundary of Chicago is Avenue A/State Line Road (4100 E) along and south of 106th Street, and the furthest west the city extends is in the portion of O'Hare International Airport that lies in DuPage County, just east of Elmhurst/York Road. While all north-south streets within city limits are named, rather than numbered, smaller streets in some areas are named in groups all starting with the same letter; thus, when traveling westward on a Chicago street, starting just past Pulaski Road (4000 W), one will cross a mile-long stretch of streets which have names starting with the letter K (From east to west: Keystone (North Side)/Komensky (South Side), Karlov, Kedvale, Keeler, Kildare, Kolin, Kostner, Kenneth, Kilbourn, Kolmar, Kenton, Knox, Kilpatrick, Keating), giving rise to the expression "K-town." These streets are found approximately in the 11th mile west of the Indiana state line, and so begin with the 11th letter of the alphabet. A mile later, just past Cicero (4800 W), the starting letter changes to L, and mile by mile the letters progress up to P. Additionally, for most of the first mile west of the Illinois/Indiana state line, streets are lettered from Avenue A at the state line (4100 E) to Avenue O (3430 E), forming the A group. The areas that might otherwise be the B through J groups are the older parts of the city where street names were already well established before this system was developed (although some small groups of streets seem to have been given names intended to conform to the system), and the Q group (8800 to 9600 W) would fall west of the city, as the only land in Chicago west of 8800 West is O'Hare International Airport, undeveloped forest preserve, and a small strip of land connecting O'Hare to the rest of the city and containing only Foster Avenue. Some suburbs number their east-west streets in a continuation of the Chicago pattern, and even more number their houses according to the Chicago grid. A few suburbs also number their north-south avenues according to the Chicago grid, although such numbering vanished from Chicago itself long ago (the alphabetical naming scheme was devised to help eliminate it). For example, the 54th/Cermak terminus of the Pink Line is located near the intersection of 54th Avenue and Cermak Road (22nd Street) in Cicero. This is 54 blocks west of State Street in Chicago. A minor street 54½ blocks west of State Street would be called 54th Court. This pattern continues as far west as Plainfield, which has a 252nd Avenue, as far north as Skokie at Central Street (10100 North). and as far south as the southern edge of Will County. Suburbs that follow the Chicago numbering system include Niles, Rosemont, Morton Grove, Skokie, Lincolnwood, Franklin Park, River Grove, Evergreen Park, Oak Lawn, Oak Forest, Matteson, Channahon, unincorporated parts of Des Plaines, Glenview, and other parts of Cook County, Will, and DuPage Counties. Other suburbs, including Evanston, Park Ridge, Oak Park, Glenview and Wilmette use their own numbering systems. The six "collar" counties (DuPage, Kane, Kendall, Lake, McHenry, and Will) use State and Madison as a base line. For example, 32W000 in DuPage County is 32 miles west of State St., 38000 in Lake County would be 38 miles north of Madison Street. and is normally used without the direction letter. In these counties, unlike Chicago, numbering is 1,000 numbers to the mile, so in DuPage County 32 1/2 miles west is 32W500. Some Chicago suburbs in adjoining Northwest Indiana also use the Chicago numbering system. These include East Chicago, Whiting, and Hammond. There are even examples further south in Lake County in Dyer and Schererville such as 205th Place through 215th Street (these examples coordinate with the Chicago grid, not the Gary street system). Other municipalities, such as Highland, and Griffith are based on the Gary, Indiana numbering system, beginning with 5th Avenue in Gary and increasing numerically as one travels southward. Examples in far south Lake County, Indiana near Lowell and Cedar Lake include 109th Avenue, 117th Avenue and 203rd Avenue. The aforementioned pattern also occurs in Waukegan, Illinois, with Washington Street being the baseline between north and south. Nearby municipalities such as Gurnee, Park City, and North Chicago continue with the Waukegan numbering pattern, while rural areas in Lake County, Illinois follow the Chicago grid. The half-mile numbered streets on the South Side are all secondary streets: 35th, 43rd, 51st, 59th, etc. ; all are numbered aside from Marquette Road, running at 6700 S, west from Martin Luther King Jr. Drive (400 E) to the city's western limit at Cicero Ave (4800 W), near Chicago Midway International Airport. East of King to near Lake Michigan at 2400 E, it is called 67th Street, and Marquette is aligned one block to the north on what would be 66th Street. A similar numbering system is also used in Milwaukee, Wisconsin. The following streets run diagonally through Chicago's grid system on all or part of their courses. These streets tend to form major 5 or 6-way intersections. In many cases they were Indian trails, or were among the earliest streets established in the city. Diagonals are numbered as north-south or east-west streets. Examples are North Lincoln Avenue and Ogden Avenue, which bends at Madison and changes from North Ogden to West Ogden. The city of Chicago proper has seven major Interstate highways crossing through it. However, the various roadways are more typically known to Chicagoans not by their Interstate route numbers but rather by various given names, the vast majority of which use the suffix "Expressway" rather than "Freeway". North-West Expressway Runs from O'Hare International Airport east and south to downtown Chicago. It interchanges with the Jane Addams Memorial Tollway and the Tri-State Tollway near Cumberland Avenue on the city's far northwest side (not far from its western terminus at O'Hare), with the Edens Expressway near Montrose Avenue on the city's near northwest side, and with the Dan Ryan and Eisenhower Expressways and with Congress Parkway at its southern terminus downtown at the Circle Interchange near the Chicago Loop. The portion from O'Hare to the interchange with Northwest Highway and the Tri-State is Interstate 190; the remainder is signed as Interstate 90. Interstate 94 is overlaid on Interstate 90 from the junction with the Edens south to the southern terminus of the expressway. Interstate 190 A three-mile spur from the complex interchange with the Kennedy Expressway and the Jane Addams and Tri-State Tollways into O'Hare International Airport; locally known in traffic reporting parlance as the "O'Hare Spur". Northwest Tollway Runs from its complex interchange with the Kennedy Expressway and the Tri-State Tollway through the northwest suburbs towards Rockford. U.S. Route 41 Running south from the Cook County line (Lake-Cook Road) near Northbrook to its interchange with the Kennedy Expressway near Montrose. The Edens Spur (formally a part of the Tri-State Tollway) splits off near the north end to interchange with the mainline Tri-state. All of the Edens except for the small portion north of where the Edens Spur splits off, and all of the Edens Spur, is signed as Interstate 94; the northernmost section is signed as U.S. Route 41. North of the northern terminus U.S. 41 continues north into Lake County as Skokie Highway. U.S. 41 is overlaid on Interstate 94 from the junction with the Edens Spur to the Skokie Road exit in Wilmette. Interstate 57 Part of I-90 and I-94, then separately I-57, the expressway runs south from the Circle Interchange (where it interchanges with the Kennedy and Eisenhower Expressways and with Congress Parkway) near the Chicago Loop, through the Circle Interchange where it interchanges with the Stevenson Expressway (Interstate 55), then past an interchange with the Chicago Skyway near 66th Street, to its southern terminus in south Chicago, where it interchanges with the Bishop Ford Freeway and continues southwest through south Chicago and the southern suburbs toward Champaign-Urbana. The Dan Ryan is signed as Interstate 94 until it interchanges with the Bishop Ford Freeway and Interstate 57; the Dan Ryan is then signed as the latter (although for the purposes of local traffic reports and conversation, the Dan Ryan is usually considered to end at the Interstate 57 interchange). The portion between the Circle Interchange and the junction with the Chicago Skyway is overlaid with Interstate 90. There are express and local lanes running through downtown Chicago on the south side of the city which were under construction until their completion in November 2007. The Ike Part of I-290, then separately as Illinois Route 53, it runs from Wells Street downtown almost due west to Chicago's western suburbs, interchanging with the Tri-State Tollway and the eastern terminus of the Ronald Reagan Memorial Tollway (Interstate 88) near Hillside, Illinois, after which it turns northwest (as the "Eisenhower extension"). At the interchange with Interstate 90, it continues as Illinois Route 53 until eventually terminating at Lake Cook Road. Schaumburg. East of Wells Street, the route continues along the southern edge of the Loop as Congress Parkway to an intersection with Columbus Drive in Grant Park. Interstate 55 From its northern terminus with Lake Shore Drive, the Stevenson runs southwest where it interchanges with the Dan Ryan before heading to the south and southwestern neighborhoods of Chicago. The Stevenson then continues past Chicago Midway International Airport and out of Chicago. After leaving Chicago it intersects with the Tri-State Tollway and the Veterans Memorial Tollway, and then heads southwest out of the Chicago area toward Joliet (where it intersects Interstate 80) and on into central Illinois. North-South Tollway It runs from an interchange with Interstate 290 through the western suburbs to a complex interchange with Interstate 88 before continuing south to the redone interchange with Interstate 55, its former southern terminus. Then it continues on 11 miles of new tollway to its southern terminus at Interstate 80. East-West Tollway It runs from a complex interchange with the Eisenhower Expressway and the Tri-State Tollway west to another complex interchange with Interstate 355. Then it heads through the western suburbs into north-central Illinois. Dan Ryan West Leg It runs from the junction of the Dan Ryan Expressway and Bishop Ford Freeway south-southwest to the southern suburbs. Known originally as the "Dan Ryan West Leg", the name has since dropped from common usage and "I-57" is universally used for traffic reporting. As such, it is the only freeway within the city of Chicago lacking a formal name. A 20-mile segment, from Wentworth to Sauk Trail has been designated as the Tuskegee Airmen Memorial Trail but it is not a name to be used for navigation. Calumet Expressway Part of I-94 and separately Illinois Route 394 is the Bishop Ford Freeway. It starts at the southern terminus of the Dan Ryan Expressway and heads first southeast and then south through southern Chicago and into Chicago's southern suburbs, where it intersects with the western end of the Kingery Expressway and the eastern end of the Tri-State Tollway, then continues on further into the south suburbs before downgrading to a surface highway and eventually terminating into Dixie Highway (Illinois Route 1) south of Crete, Illinois. The portion of the Bishop Ford Freeway north of the interchange with the Kingery Expressway is signed as Interstate 94; south of that point it is signed as Illinois Route 394. Interstate 90 The skyway angles off from the Dan Ryan Expressway near 66th Street and heads southeast toward Indiana. Whether or not the Skyway is part of Interstate 90 is a matter of some debate. The eastern end of the Skyway ends with toll bridge over the Little Calumet River and (incidentally) the Indiana state line; on the other side of the state line the Skyway ends at the western terminus of the Indiana Toll Road. U.S. Route 41 The Tri-State Tollway, which bears the I-294 designation and separately the I-94 designation, only enters Chicago at one point: its interchange with the Kennedy Expressway and North-West Tollway on the far northwest side. Otherwise, the Tri-State circumvents the city of Chicago entirely, running entirely through the suburbs from its northern terminus near the Wisconsin border to its southern terminus at the interchange with the Bishop Ford Freeway and the western end of the Kingery Expressway. North of the junction with the Edens Spur the Tri-State is signed as Interstate 94; south of this it is signed as Interstate 294, and the southern part of that is overlaid by Interstate 80 (which continues east past the eastern terminus of Interstate 294 as the Kingery Expressway and on into Indiana). U.S. Route 6 Located entirely in Lansing, Illinois, this is a three-mile-long expressway from the interchange with the Bishop Ford Freeway and the Tri-State Tollway to the Illinois/Indiana border. U.S. Route 41 A major highway running along the Lake Michigan shoreline from Hayes Drive (63rd Street) in southern Chicago to the intersection of Hollywood Avenue and Sheridan Road in Chicago's Edgewater neighborhood. For most of its length, Lake Shore Drive is signed as U.S. Route 41. Portions of Lake Shore Drive were constructed as a "true" expressway, with a few interchanges in addition to a number of at-grade intersections, especially near downtown. Nonetheless, "LSD" (as it is often referred to) is a major arterial with a great deal of cultural as well as transportation significance to Chicagoans. U.S. Route 20 A five-mile freeway along U.S. Route 20, bypassing Elgin, Illinois. It goes west from the Villa Street interchange across the Fox River with exits at State Street, McLean Boulevard, and Randall Road before continuing as an at-grade road. Illinois Route 83 From Devon Avenue in Elk Grove, the Kingery Highway (Illinois Route 83) heads south 18 miles to just south of the Des Plains River-Sanitary Canal-Illinois and Michigan Canal corridor. It is a multi lane divided limited access road with portions grade separated, the longest being 5 miles from 22nd Street in Oakbrook to 63rd Street in Willowbrook. Illinois Route 137 A two-mile expressway located entirely in Waukegan, Illinois. It has only one exit at Grand Avenue. Illinois Route 390 Formerly known as the Elgin-O'Hare Expressway, this was an unnumbered expressway that is planned to connect to Interstate 190, and originally planned to extend to the Elgin Bypass, hence the name. It currently heads west from Illinois 83 in Itasca through Roselle and Schaumburg until terminating at an interchange with U.S. Route 20. U.S. Route 20 The two Routes enter through the southeastern part of the city from Indiana with U.S. Route 41, underneath the bridge linking the Chicago Skyway and the Indiana Toll Road. At 95th Street they head west to an intersection with U.S. Route 45 west of the city. There they go north on LaGrange Road to Lake Street, where U.S. 20 turns northwest through Elgin to Iowa. U.S. 12 and 45 continue north past O'Hare airport to Des Plaines, where U.S. 12 turns on Rand Road and goes northwest then north to Wisconsin. U.S. Route 14 The Route splits off from U.S. Route 41 at Bryn Mawr Avenue by Lake Michigan on the north side of the city. U.S. 14 then recrosses U.S. 41 and eventually exits the city as Caldwell Avenue. U.S. Route 34 The Route originally began downtown and ran west on Odgen Avenue and through the suburbs, continuing through Aurora and on to Iowa. In 1970 the beginning was moved west to Harlem Avenue (Illinois Route 43), where it intersected with U.S. 66. U.S. Route 41 The Route enters through the southeastern part of the city from Indiana with U.S. Route 12 and U.S. Route 20, underneath the bridge linking the Chicago Skyway and the Indiana Toll Road. At 95th Street, when U.S. 12 and 20 turn west, it continues north until it becomes South Shore Drive, and eventually Lake Shore Drive. U.S. 41 then departs from Lake Shore Drive at Foster Avenue. From Foster Avenue, U.S. 41 continues northwest on Lincoln Avenue, finally exiting Chicago at Devon Avenue into the suburb of Lincolnwood. U.S. Route 45 The Route comes north from Kentucky and intersects U.S. Route 12 and U.S. Route 20 at 95th Street west of Chicago. The three routes go north on LaGrange Road, then U.S. 12 and 45 continue north on Mannheim Road past O'Hare airport and into Des Plaines. Separating from U.S. 12 it follows the Des Plaines River as Des Plaines River Road, then continues north on Milwaukee Avenue toward Wisconsin. U.S. Route 66 The Route started downtown and followed Ogden Avenue west out of the city, then southwest to Joliet and on to St Louis. Replaced and often displaced by Interstate 55, the Route was discontinued in 1979. Some remnants are signed as historic. The Eisenhower Expressway at the Ashland Avenue Overpass looking east towards downtown. The 'Ike' as it is known locally, runs parallel to the CTA's Blue Line. Both connect the city to the western suburbs. South Lake Shore Drive, looking north towards downtown. Traffic going southbound on US-41 on a foggy day. ^ McClendon, Dennis (2005). "Expressways". Encyclopedia of Chicago. University of Chicago Press. Archived from the original on January 2, 2012. Retrieved January 3, 2012. ^ "Curious City: Unsung urban planning hero Edward Brennan made it easy to find your way around Chicago - WBEZ 91.5 Chicago". 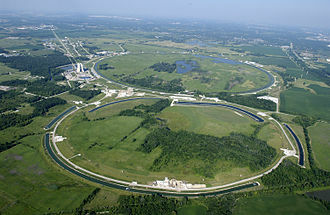 wbez.org. May 20, 2015. Archived from the original on May 23, 2015. ^ a b c "Address Conversion Guide" (PDF). Architecture and Building History. Chicago History Museum. August 1909. Archived (PDF) from the original on January 30, 2012. Retrieved January 3, 2012. ^ "Address Conversion Guide" (PDF). Architecture and Building History. Chicago History Museum. 1911. Archived (PDF) from the original on February 25, 2012. Retrieved January 3, 2012. ^ "Chicago Streets Name Changes" (PDF). Architecture and Building History. Chicago History Museum. 1948. Archived (PDF) from the original on July 25, 2011. Retrieved January 3, 2012. ^ "Arrangement of City Streets 113-1" (PDF). City of Milwaukee. November 23, 2010. Archived (PDF) from the original on May 8, 2013. Retrieved September 3, 2014. ^ "Stretch of Illinois highway named for Tuskegee Airmen". Chicago Sun-Times. Archived from the original on October 6, 2014. Retrieved October 6, 2014. ^ "Stretch of I 57 Named for Tuskegee Airman". Chicago Sun-Times. Chicago Sun-Times Office. 20 February 1912. Archived from the original on February 29, 2012. Retrieved November 1, 2015. ^ a b c Chicago 7-County street guide. Rand McNally. 2007. ISBN 978-0-5288-5972-4. ^ a b c Illinois Atlas and Gazetteer. DeLorme. 1996. pp. 20, 21, 28, 29. ISBN 0-89933-213-7. ^ a b c "Google Maps". Google. 2013. Archived from the original on August 7, 2009. Retrieved March 14, 2013. ^ a b "Illinois State Highway Maps". Illinois Digital Archives. Retrieved March 14, 2013. ^ "US Ends.com". 2012 Dale Sanderson. 2012. Archived from the original on April 7, 2013. Retrieved March 15, 2013. The Burnham Plan is a popular name for the 1909 Plan of Chicago, co-authored by Daniel Burnham and Edward H. Bennett. It recommended a series of projects including new and widened streets, new railroad and harbor facilities. Though only portions of the plan were realized, the document reshaped Chicagos central area and was an important influence on the new field of city planning and they retained Daniel H. Burnham, an architect who had managed the construction of the 1893 Worlds Columbian Exposition in Chicago. After the fair, he had presented ideas for improving Chicagos lakefront, San Francisco, and Manila and Baguio in the Philippines. Burnham retained Edward Bennett as co-author, and a staff to help prepare the plan. The Burnham Plan focused on 6 major elements, Foremost among the goals was reclaiming the lakefront for the public. “The Lakefront by right belongs to the people, wrote Burnham, not a foot of its shores should be appropriated to the exclusion of the people. ”The plan recommended expanding the parks along the Lake Michigan shoreline with landfill, which was done in the early 20th century. Of the citys 29 miles of lakefront, all but four miles are today public parkland, the plan provided for extensive lakefront harbour facilities, which became unnecessary with the citys development of facilities in the Lake Calumet regions. The plan considered Chicago as the centre of a region extending 75 miles from the city centre, at the dawn of the automobile age, the plan diagrammed both radial and circumferential highways for the region. However, the agencies who built and improved highways in the 1910s and 1920s do not appear to have been guided to build along the specific routes recommended in the plan. The plan drew on technical studies previously done by others, including a plan for competing railroads to pool usage of tracks for greater efficiency in freight handling. In addition, the plan detailed the consolidation of Chicagos six intercity railroad passenger terminals into new complexes west of the Loop and this, in turn, would allow the expansion of the business district southward. House numbering is the system of giving a unique number to each building in a street or area, with the intention of making it easier to locate a particular building. The house number is part of a postal address. The term describes the number of any building with a mailbox, house numbering schemes vary by location, and in many cases even within cities. In some areas of the world, including remote areas. A house numbering scheme was present in Pont Notre-Dame in Paris in 1512, the purpose of the numbering was generally to determine the distribution of property ownership in the city, rather than for the purpose of organization. In the 18th century the first street numbering schemes were applied across Europe, to aid in administrative tasks, the New View of London reported in 1708 that at Prescott Street, Goodmans Fields, instead of signs, the houses are distinguished by numbers. Street numbering took off in the mid 18th century, especially in Prussia, in little villages on the day before the troops march in. In the 1750s and 60s, street numbering on a scale was applied in Madrid, Paris. On 1 March 1768, King Louis XV of France decreed that all French houses outside of Paris affix house numbers, in Australia and New Zealand, the current standard is directed at local governments that have the primary responsibility for addressing and road naming. The standard calls for numbers in newly created streets be assigned odd numbers to sites on the left and this standard first came into force in 2003 under AS/NZS4819,2003 - Geographic Information – Rural & Urban Addressing. Some exceptions exist where the forms part of the boundary between different council areas or cities. For example, Underwood Road in Rochedale South has non-standard numbering, there is no plan to reassign these numbers. On some urban roads numbers will typically ascend until the road crosses a council or suburb boundary, long roads can thus have several occurrences of each number. In semi-rural and rural areas, where houses and farms are widely spaced, thus a farm 2,300 metres from the start of the road, on the right-hand side would be numbered 230. Central Street is the principal east-west artery in the far north of Evanston, Illinois and is a major thoroughfare in other northern and northwest suburbs of Chicago. The street is located at 2600 N in the Evanston grid system and 10100 N in the Chicago grid system. Central Street has a location in Evanston, the name dates to when the street was the principal thoroughfare for the village of North Evanston. Central Street has been served by mass transit for over a century. The Chicago & Milwaukee Railroad began service from Chicago to Waukegan in 1855, the Chicago and North Western Railway took over the line in 1866, and the Central Street station still stands today as a Metra stop on the Union Pacific/North Line. An Evanston trolley system operated electric streetcars down Central Street from 1897 to 1935, today the north-south line is operated by the CTA, which maintains a Central Street stop on the Purple Line. In rush hours there is service to the Loop. Four different bus routes serve the neighborhood, with two running directly down Central Street itself, Central Street is classified by the Illinois Department of Transportation as an unmarked state-maintained road. The street is wide enough in portions for four lanes and contains sections that are part of Evanstons bicycle plan, the community takes an active interest in bicycling as transportation, including as part of multi-modal transportation. Sections of Central Street were striped in 2010 for dedicated bike lanes, the Central Street district is frequently referred to as unique, even in Evanston city code, which refers to diverse, small-scale, pedestrian-oriented retail shops and restaurants. The local merchants have their own association and a Facebook page that lists many businesses, the Central Street district includes a number of art galleries and antique stores. It is home to the Mitchell Museum of the American Indian, since 1952 the North Branch of the Evanston library system has been located on Central Street. A large and active community organization, the Central Street Neighbors Association, maintains a website with neighborhood. Residents generally opposed the potential canyonization of the street, canyonization of the street became an issue in the 2005 municipal election. Oak Forest is a suburban city about 24 miles south-southwest of downtown Chicago in Bremen Township in Cook County, United States. The population was 27,962 at the 2010 census and this stop was located in a largely forested area of what was previously known as the Coopers Grove Stand of Timber. By the 1880s this particular area of timber was being referred to as the Oak Forest due to its abundance of oak trees and this location was very near the Oak Forest railroad stop which provided convenient rail access to the facility. The Oak Forest Infirmary opened in 1910, shortly after its opening, the facility accommodated close to 2,000 people suffering from poverty, mental illness and other problems. The residents of the Infirmary helped maintain farmlands at and around the facility, by 1932, the Infirmary was serving more than 4,000 patients, including over 500 with tuberculosis. By the 1920s there were several residential subdivisions developing near the facility, the 1940 census reflected 611 residents outside the hospital. The hospital provided other business opportunities, for example, several mortuaries/funeral homes were to be found just outside the facility. In the 1930s, there were efforts made to rename the community Arbor Park. The proposed name did not gain momentum, but the name did become memorialized in the name of the Arbor Park School District 145. In 1947, with a population of 1,618, the residents voted to incorporate as the Village of Oak Forest and it was reincorporated as a City in 1971. Christian Goesel and several relatives settled near 147th and Oak Park Avenue beginning in about 1861, in 1884, the Goeselville post office was established to continue to serve the small settlement in that general vicinity. This post office operated as a satellite of the New Bremen/Tinley Park post office until it was discontinued in 1903, at its peak there were about 30 residents in the Goeselville area, with a few general stores to supply the farmers. Parts of the former Goeselville settlement are now within the far northwestern boundaries of the City of Oak Forest, although that post office has been closed for over 100 years, the Goeselville name occasionally continues to be found on current maps. Waukegan /wɔːˈkiːɡən/ is a city and the county seat of Lake County, United States. It is part of the Chicago Metropolitan Area, as of the 2013 census estimate, the city had a population of 88,826. It is the ninth-largest city in Illinois by population and it is the fifth-largest city on the western shore of Lake Michigan, after Chicago, Green Bay, and Kenosha. The site of present-day Waukegan was recorded as Riviere du Vieux Fort, by the 1820s, the French name had become Small Fort River in English, and the settlement was known as Little Fort. The name Waukegance and Waukegan was created by John H. Kinzie and Solomon Juneau, Waukegan had an abolitionist community dating to these early days. 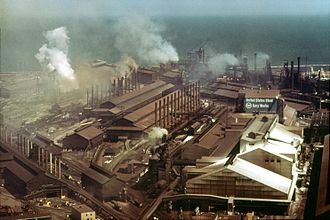 In 1853, residents commemorated the anniversary of emancipation of slaves in the British Empire with a meeting, Waukegans development began in many ways with the arrival of Washburn & Moen, a barbed-wire manufacturer that prompted both labor migration and land speculation beginning in 1891. Immigrants followed, mostly hailing from southeastern Europe and Scandinavia, with large groups from Sweden, Finland. The town home to a considerable Armenian population. Curezhin lost two fingers on his hand while testing explosives for this purpose in Waukegan in 1904. By the 1920s and 1930s, African-Americans began to migrate to the city, the town was no stranger to racial strife. Although newspaper reports and rumors suggested that the wife was hit with glass from the broken windshield. The sailors cried lynch em, but were kept back by the intervention of the police. Marines and sailors renewed their attack on the several days later. The Shermans residents fled for their lives as the military members carried torches, the Waukegan police once again turned them away, but not before firing and wounding two members of the crowd. The police were not always so willing to protect Waukegans citizens, in 1919, a strike at the US Steel and Wire Company - which had acquired Washburn & Moen - led to a call for intervention from the state militia. Noted organized crime figure Johnny Torrio served time in Waukegans Lake County jail in 1925 and he installed bulletproof covers on the windows of his cell at his own expense for fear of assassination attempts. The Public Land Survey System is the surveying method developed and used in the United States to plat, or divide, real property for sale and settling. Beginning with the Seven Ranges, in present-day Ohio, the PLSS has been used as the survey method in the United States. Following the passage of the Northwest Ordinance, in 1787, the Surveyor General of the Northwest Territory platted lands in the Northwest Territory. The Surveyor General was merged with the General Land Office, the BLM controls the survey and settling of the new lands, and manages the State Plane Coordinate System. The government wished both to land to Revolutionary War soldiers in reward for their services, as well as to sell land as a way of raising money for the nation. Before this could happen, the land needed to be surveyed, the Land Ordinance of 1785 marks the beginning of the Public Land Survey System. The Continental Congress was deeply in debt following the Declaration of Independence, with little power to tax, the federal government decided to use the sale of the Western Territories to pay off American Revolutionary War debt. The original colonies continued the British system of metes and bounds and this system describes property lines based on local markers and bounds drawn by humans, often based on topography. Particularly in New England, this system was supplemented by drawing town plats, the metes-and-bounds system was used to describe a town of a generally rectangular shape,4 to 6 miles on a side. Within this boundary, a map or plat was maintained that all the individual lots or properties. There are some difficulties with this system, Irregular shapes for properties make for more complex descriptions. Over time, these descriptions become problematic as trees die or streams move by erosion and it wasnt useful for the large, newly surveyed tracts of land being opened in the west, which were being sold sight unseen to investors. In addition this system didnt work there were already people on the ground to maintain records. In the 1783 Treaty of Paris recognizing the United States, Britain recognized American rights to the south of the Great Lakes. Plainfield is a village in Will County, United States. The US Census Bureau estimates the population at 41,734 as of 2013, the village includes land in Plainfield and Wheatland townships. Part of Plainfield is located in Kendall County, with the growth in the Chicago suburbs in the 1990s and 2000s, the village has seen a population increase, from 4,500 in 1990 to 28,000 in 2000 to over 37,000 in 2007. The village has established a community Preservation Commission and historic preservation ordinance and it is the home of the Lake Renwick Preserve, a county forest preserve used for birdwatching and other activities. The area was called Walkers Grove until it was platted as Plainfield in 1841. It was originally settled by a community of Potawatomi. Indian Boundary Road aligns with the border of the tract of land originally ceded. The earliest Europeans in the area were French fur traders, James Walker, Jesse Walkers son-in-law, traveled with him and became the first European to claim land in the area in 1828. In 1828, James Walker, in the company of several men, Plainfield is identified as the oldest community in Will County because the earliest settlement of Walkers Grove was established on the banks of the DuPage River by 1828. However, the actual Village of Plainfield was platted immediately north of Walkers Grove in 1834 by Chester Ingersoll, the separate community of East Plainfield was platted in June 1836 by James Mathers who began selling lots in July 1836. In addition he constructed a gristmill and a mill race west of Water Street, Water Street would become Plainfield-Naperville Road. Walkers Grove flourished because of the DuPage River and established routes to Fort Dearborn in Chicago, reuben Flagg hauled lumber from Walkers mill to Chicago in order to erect the first two frame structures in the city. Chicago depended upon the settlement for mail and supplies, the communitys early prosperity was stunted when the Illinois & Michigan Canal opened in 1848, because the Village was not located along the canal. A house number in Germany. An example of the house numbering in rural area of Taiwan. Clockwise scheme. A similar, counter-clockwise scheme also remains in use in parts of Germany. Figure 3. Kent County, Michigan in 1885 as a PLSS example, showing 24 named townships and sectional subdivisions. Grand Stand Pizza on Grand Ave. The Grove includes the Kennicott House, which was built in 1856.